I was looking for some hotel information and saw the following AdWords ad with either the misspelling or typo “3th Night Free”. Whatever you want to call it, I am pretty sure the Rosewood Hotels Luxury Five Star Hotels and Resorts brand wouldn’t necessarily look highly upon misspellings and or typos being used in their corporate messaging. With over 1,000 websites to manage, keeping track of all the action can at time be overwhelming. Such is particularly the case when trying to manage Google account access ie., Google Analytics, Google Adwords and the myriad other Google account services. I did learn something today however – you can’t delete a Google Analytics account if its attached to an Adwords account. Ideally I should be able to consolidate all of my Google Analytics accounts into one account, however doing so doesn’t look possible. Any ideas how to get all of your Google Analytics accounts into one account? Got a problem trying to market and sell a product or products? I have found a relatively easy way to bring to clarity to your situation. Take your product and set up an Adwords campaign for it. At the end of the AdWords campaign creation process, you will have distilled most if not all of the attributes needed for actually selling your product to people whether they are online or off. Writing an ad for your product is the first step. Go ahead… I challenge you. Write an AdWords ad for any product and see if at the end of the process you don’t understand your product and market at an entirely different level – the requisite level required for generating sales. Google recently revamped their Adwords qualification program requirements for both individuals and companies. 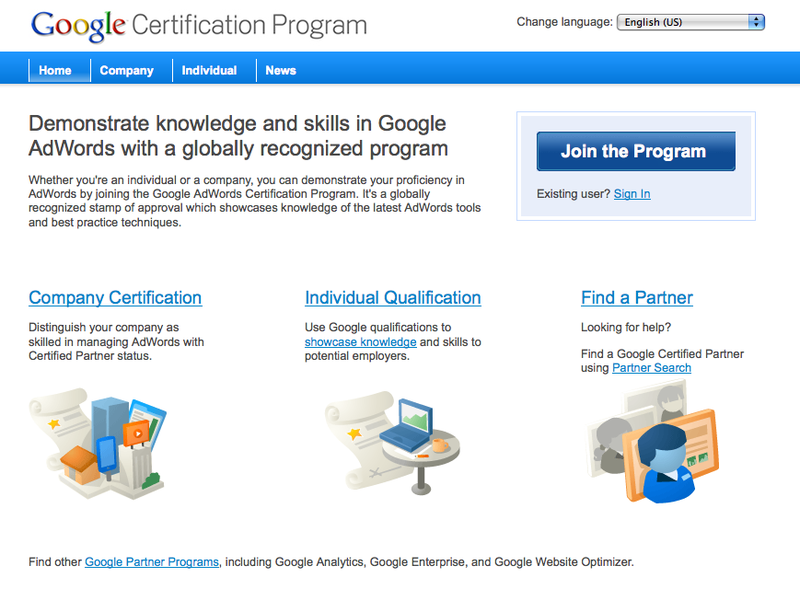 Their new qualification process is bundled under the Google Certification Program. In order for a company to become qualified an individual associated with the company must have first passed two exams – the Advertising Fundamentals Exam and one advanced-level exam. 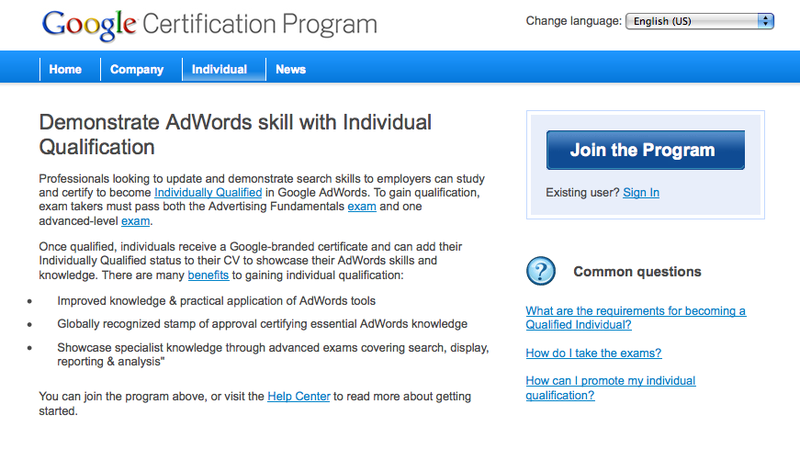 I was one of the first individuals worldwide to pass the original Adwords Qualified Individual exam years ago. Because my company appears to meet the new qualifications for becoming a Google Certified Partner, I plan to go through the certification process – again. Google Adwords ad extensions work with existing text ads to offer more useful, relevant information to users searching on Google. Learn more about extensions at http://www.google.com/adwords/extensions. Learn to measure the success of Adwords ads and use this information to improve Adwords performance.